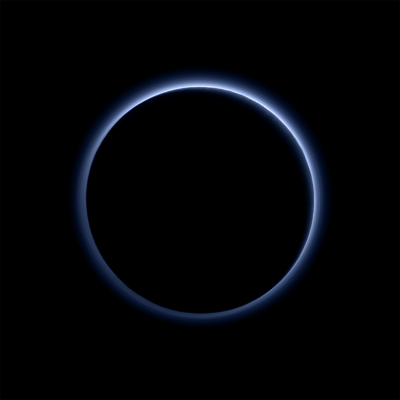 First, Pluto. For so long it was just a tiny speck of light visible in only the most powerful telescopes, and even then, no more than a small blurry dot at best. There were subtle hints of surface detail, but nothing more. Then, this year, the New Horizons spacecraft sped past this enigmatic world on July 14, providing the first good look at dwarf planet Pluto and its moons, and it was certainly worth waiting for. Far from being a geologically dead ball of ice and rock, Pluto was shown to be an active world, with huge mountains ranges and crust of solid water ice, flowing glaciers of nitrogen ice, and possibly cryovolcanoes. From above, the appearance is reminiscent of shorelines between continents and oceans, but composed of completely different materials. In places, the glacial plains are dotted with unusual swarms of small pits and odd “snakeskin” terrain can be seen elsewhere. 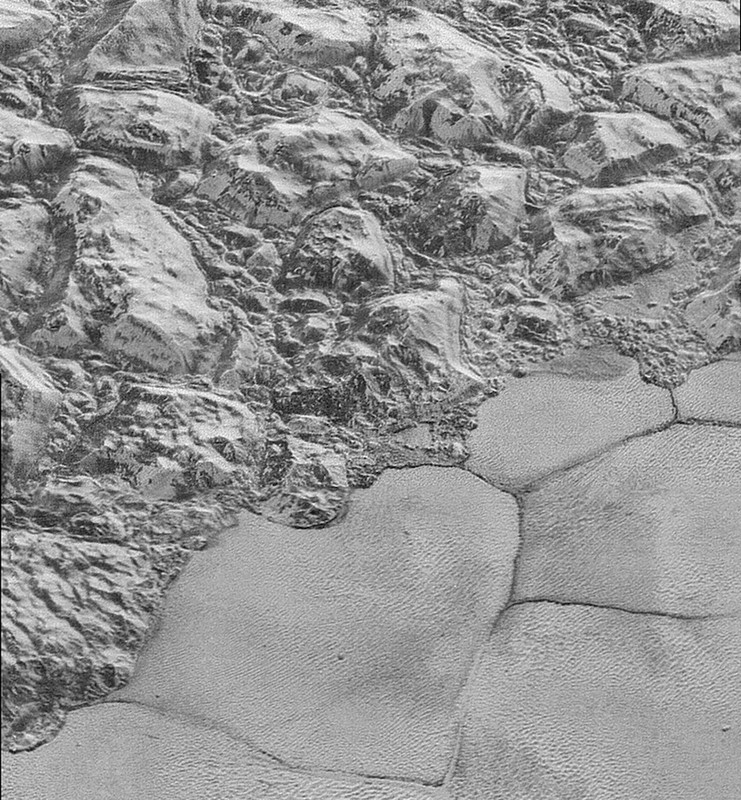 Some parts of Pluto’s surface are old and cratered, while others, such as the icy plains, are much younger and crater-free. Pluto is surprisingly active for a such a small world so far from the Sun. Even clearer evidence of geological processes can be seen in the newest images, including layering in some craters. It is not yet known if the layering is local, regional, or global. Dark linear features may be evidence of tectonics, according to mission scientists. There is a also a giant canyon system which stretches for hundreds of miles across the northern hemisphere. There may even by cryovolcanoes (ice volcanoes), but those haven’t been confirmed yet. As for Pluto’s moons, they have been found to be spinning much faster than expected. The spin rates may be chaotic (variable) due to Charon, the largest moon, exerting a strong torque that prevents each small moon from settling down into synchronous rotation. “Pluto’s moons are behaving like spinning tops,” noted co-investigator Mark Showalter of the SETI Institute in Mountain View, Calif.
Charon also has a more active surface than previously thought, with tall mountain ridges, an unusual red-stained region at the north pole and canyons. One odd isolated mountain peak sits within a moat-like depression. As of now, only about 25% of the data from the flyby has been returned to Earth so far; it will take until fall of next year for New Horizons to finish sending the rest. There is still a lot more to look forward to. On Mars, the Curiosity and Opportunity rovers continued their exploration, providing even more evidence that the planet used to be a much wetter place than it is now. 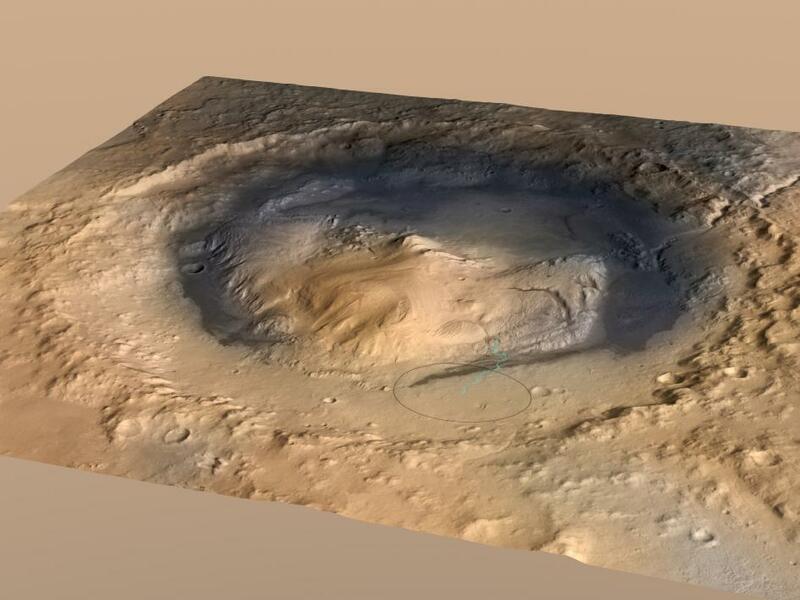 Curiosity confirmed ancient lakes in Gale crater, as well as streams. There are even gravel beds, just like ones on Earth, left over from when those streams dried up a long time ago. The towering Mount Sharp in the middle of the crater was partially built up from sediments from the ancient lake(s). The area where Curiosity has been roving used to be a lake bottom. Analysis suggests that the bottom layers of the mountain formed over a period of about 500 million years, built up gradually by the lakes and rivers. Curiosity is currently examining some of the massive dark sand dunes, called the Bagnold Dunes, which extend partway around the base of Mount Sharp. 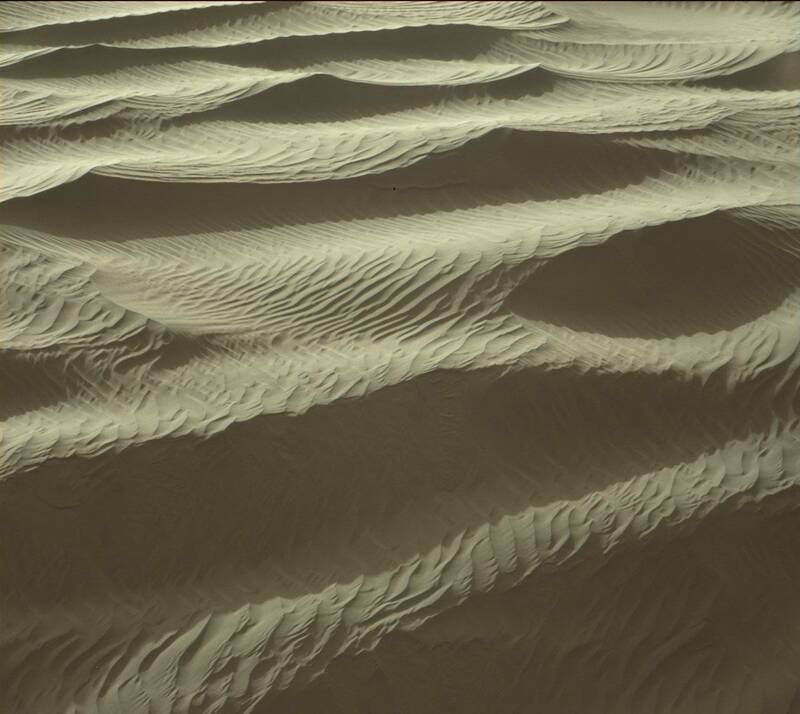 The large dunes, up to two stories tall, are themselves covered in many much smaller sand ripples, creating a very scenic view similar to deserts on Earth. As mentioned previously, the dunes here are considered to be “active” since they are still slowly migrating across the surface, as much as 1 metre (3 feet) per Earth year. Curiosity had also earlier seen ancient petrified dunes which have become hardened rock over time. The images of two of these dunes, High Dune and Namib Dune, have been some of the most spectacular of the mission so far. Curiosity recently marked its third anniversary on Mars with other discoveries including that the region once had the chemistry required for microbial life to possibly exist, along with organics in mudstone rock outcrops. This isn’t proof of past life, but shows that the conditions could have supported it. The unusual spikes of methane in the atmosphere detected earlier by Curiosity added to the overall methane puzzle, as well. The origin of the methane is still unknown and highly debated. Curiosity is continuing to monitor the atmosphere for any further detections. Recent drilling campaigns have also found very high levels of silica, which again provide more clues about past water in this region. Some of the silica, at one rock Curiosity drilled called “Buckskin,” is in a mineral named tridymite, which is rare on Earth and never seen before on Mars. On Earth, tridymite is found in volcanic deposits with high silica content. “The high silica was a surprise – so interesting that we backtracked to investigate it with more of Curiosity’s instruments,” said Jens Frydenvang of Los Alamos National Laboratory in New Mexico and the University of Copenhagen, Denmark. The Opportunity rover, meanwhile, has just entered its seventh Martian winter. Unlike previous winters however, it will be able to remain active and continue science operations. While there seemingly haven’t been as many press releases or other coverage as with Curiosity lately, the rover has quietly continued on with its business. The “rock spire” seen by the Opportunity rover in the Spirit of St. Louis crater. Image Credit: NASA/JPL-Caltech/Cornell Univ./Arizona State Univ. Opportunity finished a “walkabout” survey of its current location in Marathon Valley, which is on the rim of the huge Endeavour crater. The rover will now study rock outcrops which contain clay minerals, as identified previously from orbit, which will provide more information about past water activity in this region. Incredibly, the rover has been going strong since landing in 2004, and is still quite healthy overall. Interestingly, rocks in “reddish zones” there contain more silica and less iron than most rocks in the area. One of the most picturesque images from Opportunity this year was of the “rock spire” in the small Spirit of St. Louis crater. A naturally-formed spire to be sure, but certainly a postcard-worthy sight. Besides the rovers, The Mars Reconnaissance Orbiter confirmed another significant discovery – that small amounts of briny liquid water still flow on the Martian surface. It had been suspected for some time that certain unusual dark streaks might be briny water flows, but this year, MRO confirmed it. 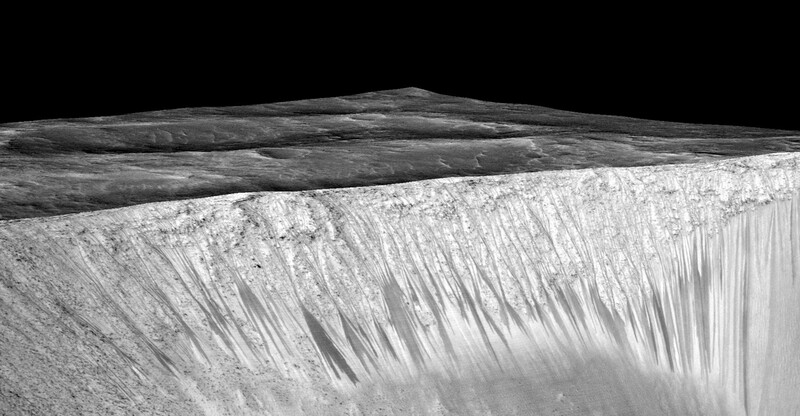 Unlike other dark streaks which are simply dust avalanches, the Recurring Slope Lineae (RSL) streaks are composed of small amounts of briny (salty) water briefly running down Sun-facing slopes in the mid-latitudes and equatorial regions. MRO has observed them appearing repeatedly on an annual basis. The streaks are typically only a few meters wide, but can be several hundred metres long. Perchlorate salts help keep the water temporarily liquid in the cold, thin atmosphere before it sublimates. The actual origin of the water isn’t known yet, but could be melting ice, atmospheric deliquescence by hygroscopic salts or subsurface aquifers. 2015 also brought confirmation that the subsurface salty sea thought to exist on Saturn’s moon Enceladus is really a global ocean. Just like Jupiter’s moon Europa, Enceladus has a huge ocean beneath the outer icy crust. There is also now evidence for hydrothermal activity on the ocean bottom, just like on Earth. The Cassini spacecraft has made multiple flybys of Enceladus, even diving directly through the water vapor plumes which erupt from the south polar region. These plumes, thought to originate from the ocean below, are now known to contain water vapour, ice crystals, organics, methane and salts. The latest, and final, close flyby was on Dec. 19. The previous flyby on Oct. 28 passed only 30 miles (49 kilometers) above the surface and was the deepest dive into the plumes. 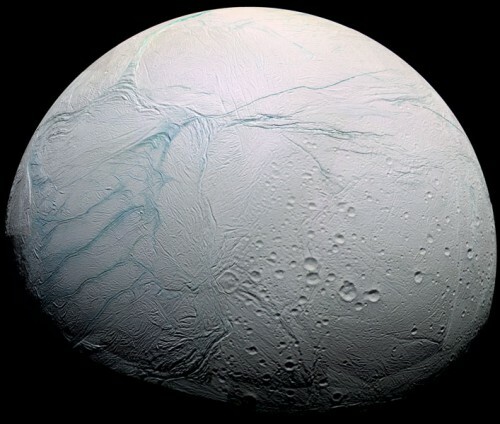 The findings make Enceladus another ocean world which is begging for further exploration. Could there be life of some kind in those dark waters? The dwarf planet Ceres was also visited for the first time this years, by the Dawn spacecraft. Like Pluto, it held surprises. 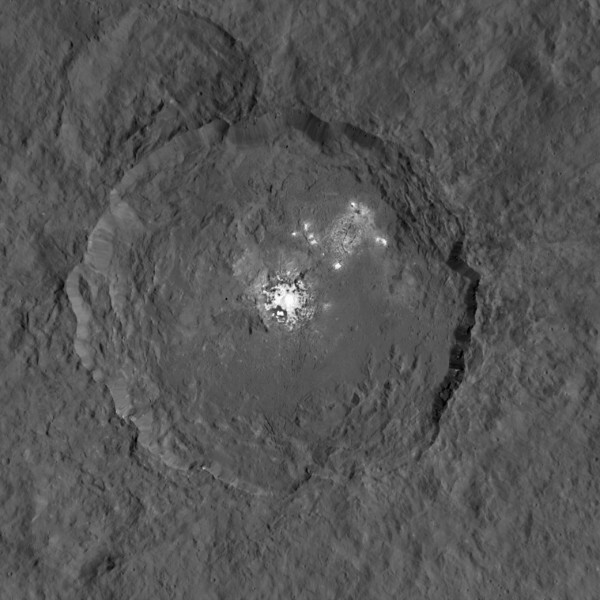 One of the first things noticed were unusual bright spots in some areas, the brightest ones being in Occator crater. It’s now been determined that they are most likely salt deposits, left behind by evaporating water, originating from a subsurface layer of briny water ice. Dawn also detected haze inside Occator crater. This haze The haze is visible at noon on Ceres, but is not seen at dawn or dusk; the process may be similar to what happens on comets, when water vapor lifts tiny particles of dust and ice off the surface. Dawn also discovered ammonia-rich clays on Ceres. This suggests that Ceres may not have formed where it is now, in the main asteroid belt, but rather from farther out in the Solar System, where nitrogen ices are abundant. 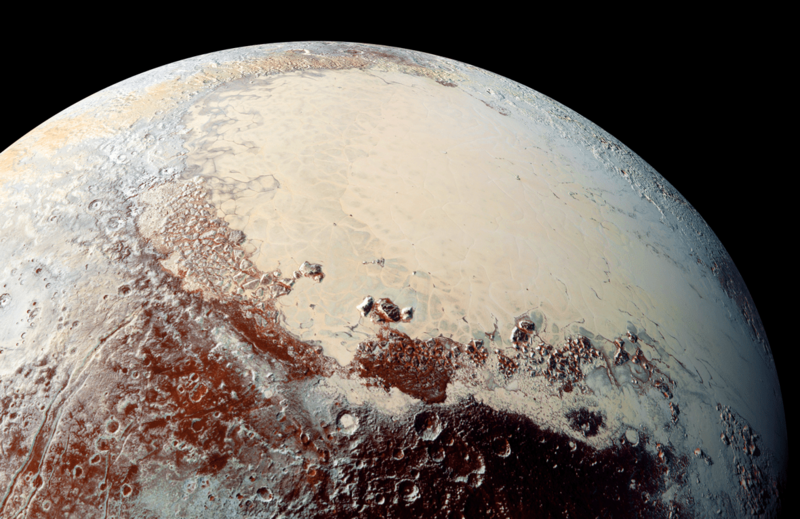 Also like Pluto, there may be icy cryovolcanoes, but they have not been confirmed yet. Another odd feature is the so-called “Lonely Mountain,” an isolated conical mountain which is about 4 miles (6 kilometers) tall. There is nothing else like it nearby. 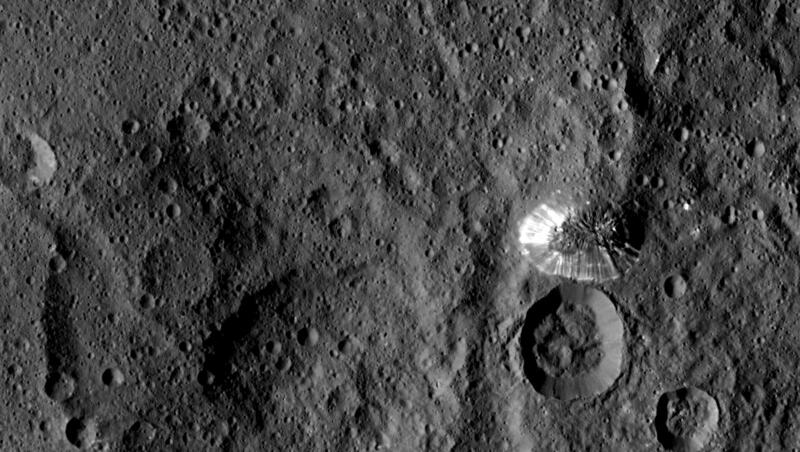 Dawn is now in its lowest orbit around Ceres, and the new images coming soon will be the best yet, starting in mid-December, with a resolution of 35 metres (120 feet) per pixel. Last but not least, the Rosetta spacecraft recently celebrated the one-year anniversary since the historic touchdown of the Philae lander on the surface of Comet 67P/Churyumov-Gerasimenko. 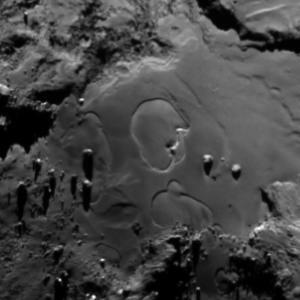 The lander bounced a couple times before finally coming to rest on the surface of the “rubber duck-shaped” comet. For the first time ever, a comet could be monitored up close as it approached closer to the Sun. The images of the comet, including blasting jets, have been spectacular, as Rosetta continues to orbit 67P. 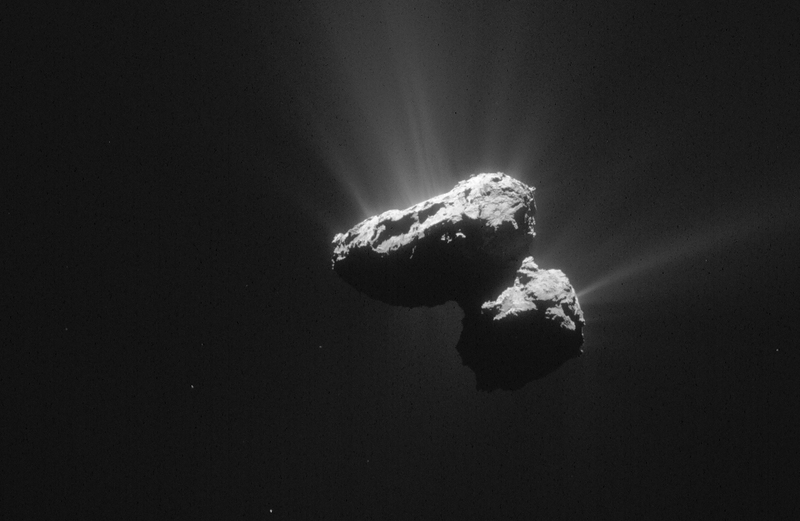 Rosetta has observed “dramatic and rapid changes” on the surface of the comet. Rosetta also detected molecular oxygen on the comet for the first time. 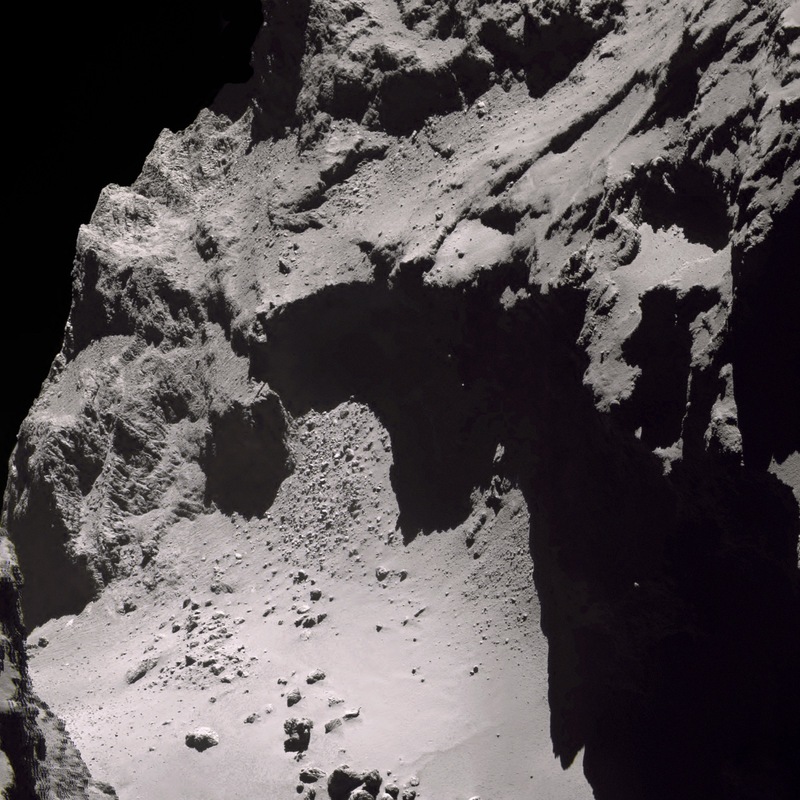 Even boulders and features resembling “sand dunes” were seen on the comet’s rough, craggy surface. 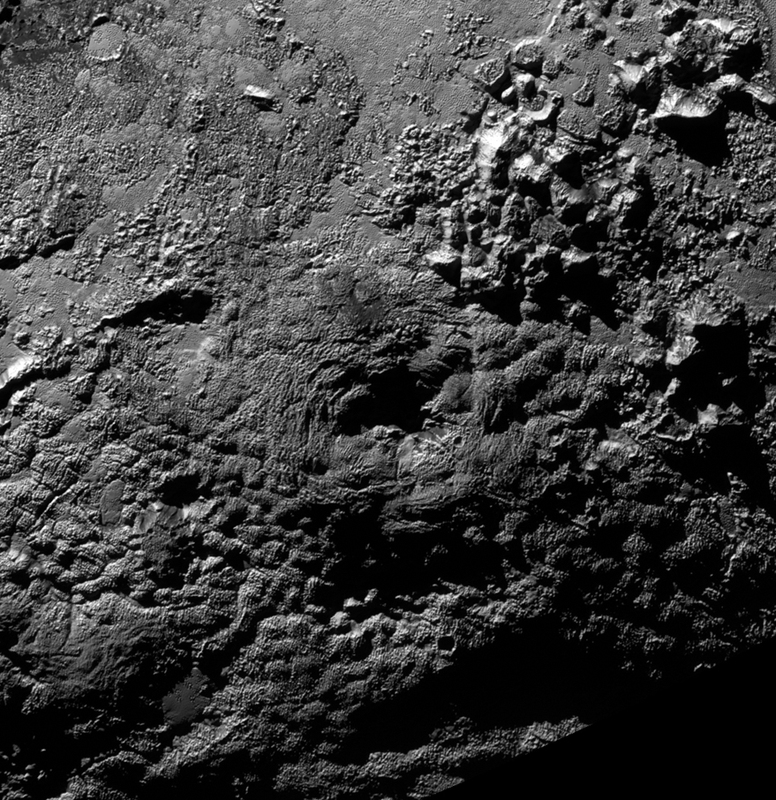 It may be much smaller than planets or moons, but Comet 67P is indeed a unique world as well, and the detailed images sent back are hauntingly beautiful. A great review of these exciting times . What we should pursue, as it seems we have a good, robust design, is mass production of rovers based on Curiosity. Modify the booster/launch and landing scheme as needed to land on: The polar region of Mercury. Ceres. the 4 Galilean satellites, Titan, Enceladus, Triton, Pluto…. etc.